Gone are the days when declaring bankruptcy was akin to agreeing to wear a scarlet letter. With the stigma all but over, today declaring bankruptcy is mainly seen as a necessary step many have taken to repair their financial well-being. While it does afford you a fresh start, it also brings new issues to contend with. One of the main considerations is digging yourself back out of the hole, by cutting expenses and making sure to pay all of your bills on time, in addition to paying off the debt that got you here in the first place. While a Chapter 13 or Chapter 7 declaration will negatively affect your credit rating for the next decade, there are still ways for you to get a loan, which can help you pay off your debt and help rebuild your credit score. How Is Borrowing While on Bankruptcy Different? Getting loans after bankruptcy is possible, but due to your credit rating, you will face a bumpier road and be somewhat more limited in your options than someone with better credit who has never filed for bankruptcy. You may be limited to smaller bankruptcy loans at higher interest than people with spotless financial histories, but you’ll still have options. Chances are you may have trouble getting an unsecured loan, due to the higher risk many financial institutions see in applicants who have filed for bankruptcy. If you have collateral you can put up for a secured loan this can help your chances, and with a low interest personal loan you can potentially pay off any higher interest loans you have. 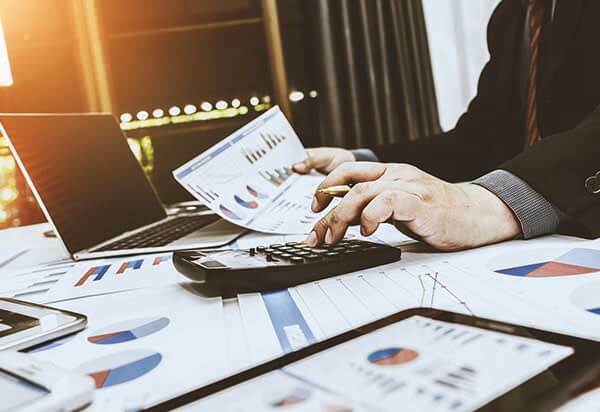 Many lenders will look at your credit both before and after bankruptcy to decide how high-risk you are, and in order to get a more comprehensive look at your financial history. No matter what course you pursue, take your time to look around at possible loan providers and read the fine print to make sure the terms are appropriate. Many predatory lenders seek out people with bad credit who can get loans through more traditional lenders, and the last thing you need is to take on another debt, much less one with high interest rates. There are still plenty of lending options for people with bad credit—you just need to shop around for one that suits you. A secured loan requires the borrower put some sort of collateral down to secure the loan. The collateral takes the place of your credit score as the proof that you will pay back the personal loan after bankruptcy. Collateral often applies to home equity loans and auto loans, where you agree that the lender can seize your home or car if you don’t make the payments. 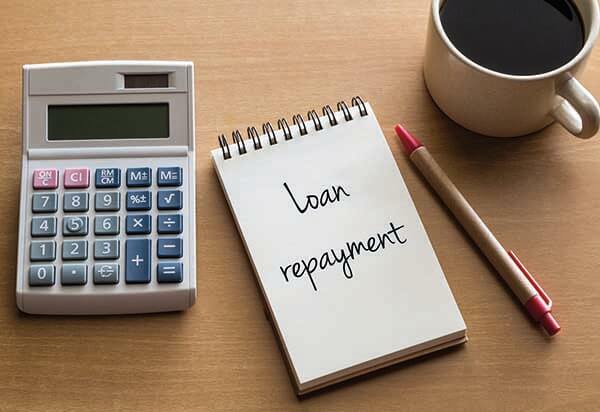 While this may scare off some borrowers, if you have collateral to put up, the repayment terms and interest on such loans tend to be lower than for unsecured loans. With a home equity line of credit, a borrower takes out a loan with their home equity used as collateral. As opposed to a conventional home equity loan, the borrower isn’t given all of the loan up front, rather, they are given a line of credit they can borrow from during the term of the loan, with the credit limit being the loan amount. You only pay interest on the amount you withdraw, and you can get much friendlier interest rates than a standard credit card. That said, your home is used as collateral. P2P loans have become very popular in recent years, especially among people with less than ideal credit or little or no collateral, who have decided to bypass traditional financial institutions. P2P sites like LendingTree​ allow you to borrow from individuals or groups of individuals, who compete against one another for customers. On many P2P sites people after bankruptcy with bad credit can have a tougher time, but this type of lending allows you to cast a wide net and shop around with a much wider range of lenders, giving you better odds of finding a lender that works for you. Many personal loan companies such as LoansUnder36​ don't turn people away simply for having a “poor” credit score. In addition, many of the top personal loan companies like Even Financial readily provide loans to borrowers with “fair” credit, more or less in the 630-689 range. Filing for bankruptcy can easily drop your credit score 100 points or more. But if you stay within the poor or fair range, you’ll still have plenty of options as a discharged bankrupt person. These personal loans for bankrupts tend to have high interest rates and expensive additional fees, in order to compensate for what lenders see as high risk in sub-standard credit borrowers. Credit unions are nonprofit organizations made up of members who typically live in the same area or work in the same field, such as a state employees credit union. Though they will still consider your credit score, as a credit union member taking bankruptcy loans, you'll typically enjoy easier eligibility requirements and lower interest rates than you would with a typical bank. Under a cosigned loan, a lender basically combines your credit score with that of the person cosigning, along with their income. The cosigner insures the loan, and will be on the hook if you default on the payments. If you have a loved one who is willing to sign for you this is a solid way to get approval for a personal loan, though you stand to risk their financial well-being as well as your own if you don't make the payments. When comparison shopping among lenders, there are a number of basic parameters to keep an eye on. First off you’ll want to look at the APR - the annual percentage rate. This is different than merely the interest rate in that it represents the total annual charge for borrowing money, by taking into account fees and other additional costs. The bankruptcy loan term is important in that it tells you how long you can potentially stretch out your repayment plan. With a longer term you’ll pay lower average monthly payments, which can make it easier to keep up if you’re on a strict monthly budget after declaring bankruptcy. On the other hand, with a longer repayment term you will end up paying more interest by the time you’re done paying off the loan. With LendingTree you fill out a single loan application and within minutes you’ll get a list of lenders who are likely to approve your loan with terms that could work for you. Quick and easy, with personal loans of up to $50,000, LendingTree puts you in the driver’s seat of the loan process and does not charge you any fees. With LendingTree you can receive either a secured or unsecured loan, with payment plans that you can stretch out over as long as 180 months. If you do get an unsecured loan though, keep in mind that you will receive less comfortable terms, including APR that can run as high as 35.99%, depending on your credit score and other factors. Another reason that LendingTree is good for someone repairing their financial status after bankruptcy is that it provides a number of helpful educational resources. These include articles on better financial practices, as well as calculators to help you determine how a personal loan will work with your income and expenses. Even Financial’s single-form application process is simple and easy, and should have you comparing loan offers within minutes. If you’re trying to rebuild your life after bankruptcy, Even Financial will allow you to take out some of the highest personal loans in the industry—up to $100,000. The company also has some of the most lenient requirements when it comes to credit—approving borrowers with scores as low as 580. The company will also perform a soft credit check, so you don't need to worry about your score taking another hit. Even Financial doesn’t provide loans itself, but links you up to all types of industry leaders. By casting such a large net, the company helps you find lenders with terms that you can work with, including repayment terms running 6 or 7 years, even more. Keep in mind though, if you are post-bankruptcy and have poor credit, these unsecured loans can come with a hefty APR. AmOne doesn’t charge any fee for applying for a loan, which only takes a few minutes with a single form to fill out. The company also doesn’t limit what you use the loan for, so post-bankruptcy these funds can be used however you see fit. The company doesn’t provide its own loans, but puts you in touch with all types of lenders who can provide you with loans that are payable over a wide range of loan terms, from 2 years to 7 years. This sort of flexibility can come in handy when you’re consolidating debt after bankruptcy and balancing a budget. In addition, AmOne doesn’t charge any fees for using the service, and can provide you with a number of online educational resources for you to read up on so you can better handle your finances going forward. If you’re looking for a loan after bankruptcy and are concerned about the terms, LoansUnder36 will check across a network of more than 100 lenders, which should help you find a better rate. The company can also help you find a loan even if your credit is on the lower end of the scale, and can link you up with lenders who can stretch your payments out over up to 6 years. The company does have a fairly low maximum of $35,000 on loans, but for loan consolidation after bankruptcy this can definitely go a long way. After a tough financial turn of events, the last thing you want is another headache. With LoansUnder36, you won’t be charged any fees for the loan application process, which is quick, simple, and straightforward. If you’re post bankruptcy and looking for quick relief covering your debts, LendingPoint can provide funds within one business day. The company’s maximum personal loan—$25,000—is lower than that of much of the competition, but it should be more than enough for people who are going through some choppy financial waters and need a little bit of help smoothing out their debts. One thing to keep in mind with LendingPoint though, is that you will face an origination fee of up to 6% of the loan amount. 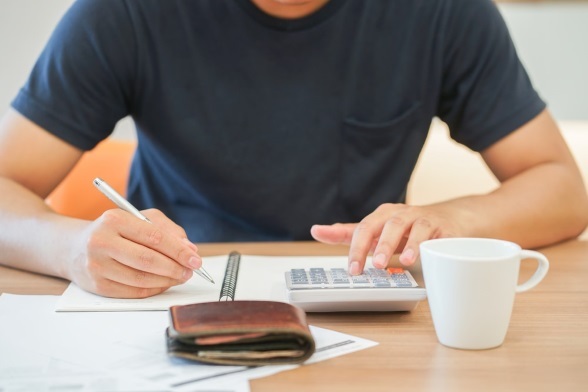 If you’re cash-strapped post bankruptcy this can be significant, so take a look at your expenses and decide for yourself if this is a deal-breaker. Here’s the good news: Even with the sort of bad credit that comes following a declaration of bankruptcy, you still have a wide variety of options for ways to fix bad credit and find a loan. You can put up collateral for a secured loan with friendly interest rates which could help you get ahead of your debt some, or find someone willing to cosign on a loan application. Beyond the more traditional avenues, the P2P industry features a wide variety of lenders who are used to dealing with people with poor credit or financial problems that may have shut them out of the traditional lending process. There are also easier processes that can get you a loan, such as payday loans where you can get money quickly and easily, but these often come with exorbitant interest rates that can see you getting further and further into debt. If you’ve declared for bankruptcy and you’re looking for a loan, take a deep look at the different options - both traditional and P2P - and see which makes the best sense for you financially. To learn more about these and other top lenders, check out our in-depth reviews.